Fully adjustable stand holds a majority of digital tablets and e-readers in a comfortable viewing position. Use it to move your tablet off a flat surface to allow for easier access and a better viewing angle, making it great for reading, watching movies and videos, holding video conferences, writing and more. 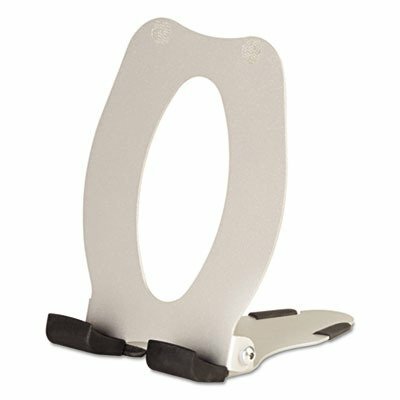 This stand is lightweight, yet durable--it's easy to carry but is very stable in use. It is compact and takes up little room on your desk.